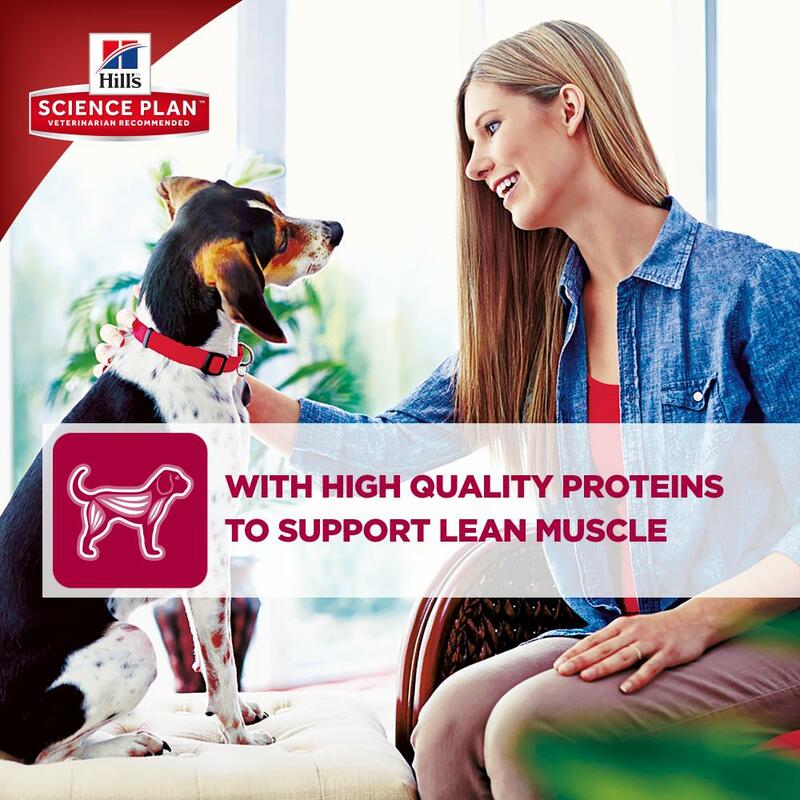 Hill's™ Science Plan™ Canine Adult Advanced Fitness™ Mini with Chicken is formulated to support lean muscle and healthy vital organs, for dogs who prefer a smaller kibble. With clinically proven antioxidants, lean proteins and omega 3's. 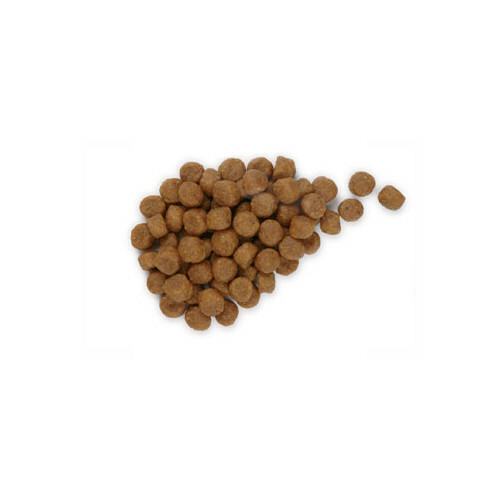 A 370g can is equal to 100 grams of the dry food. Essential fatty acids High Supports the function of the nervous and immune systems. Promotes a healthy skin and coat. 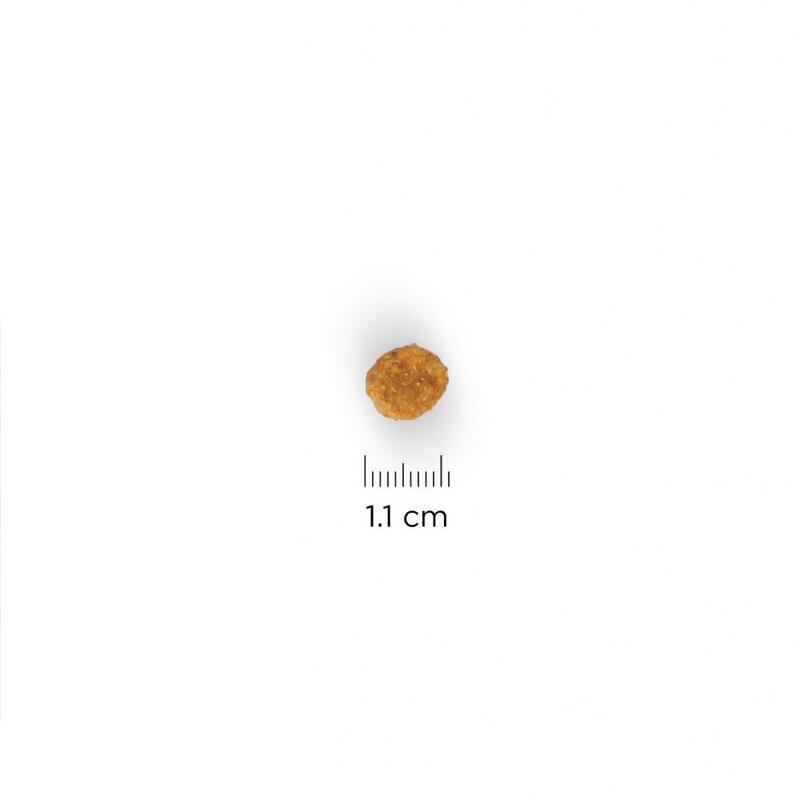 Kibble size Mini Provides an appropriate size for different breeds. Formulas 1 Dry Increases choice to encourage acceptance. Chicken: Maize, wheat, chicken (26%) and turkey meal, animal fat, digest, maize gluten meal, soybean oil, minerals, dried beet pulp, flaxseed, vitamins, trace elements and beta-carotene. With a natural antioxidant (mixed tocopherols). 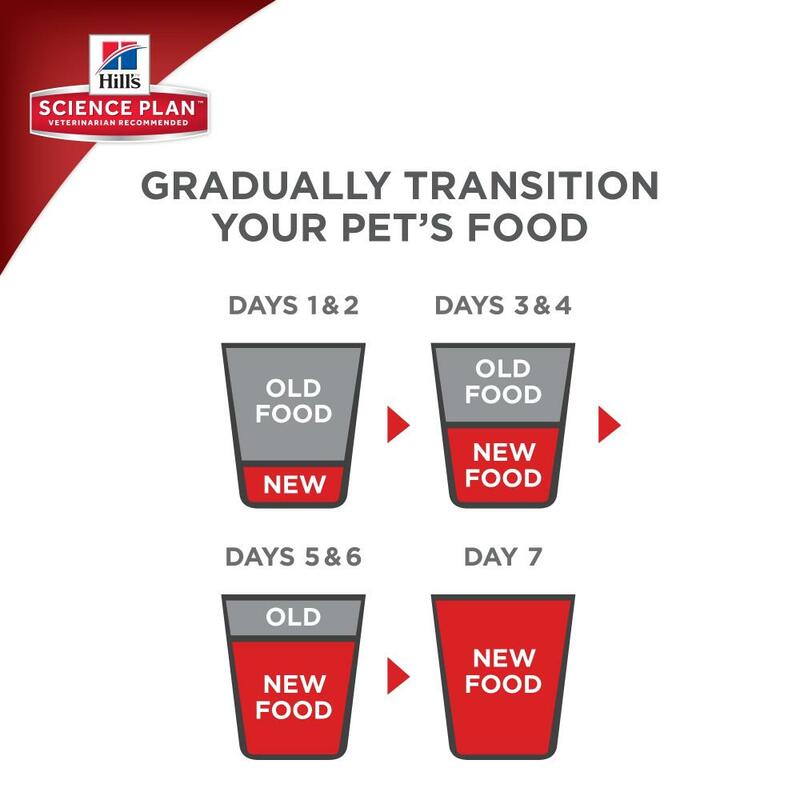 In addition to this chicken based formula the Science Plan™ Canine Adult Advanced Fitness™ dry formulas, with Beef, with Tuna & Rice, and with Lamb & Rice are also appropriate for small and medium breeds. 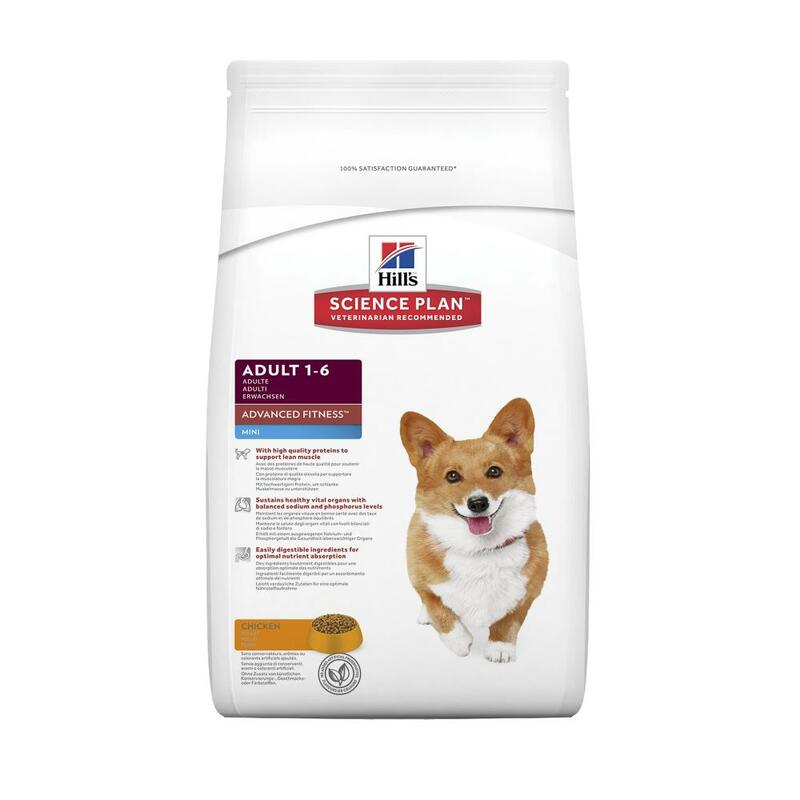 There are currently no questions for Hills Science Plan Adult Mini Dog Food - be the first to ask one!